The summertime at my house means a few things – sun, swimming, watermelon, homemade popsicles, and homemade lemonade. This is truely a staple that is enjoyed by adults and kids alike. 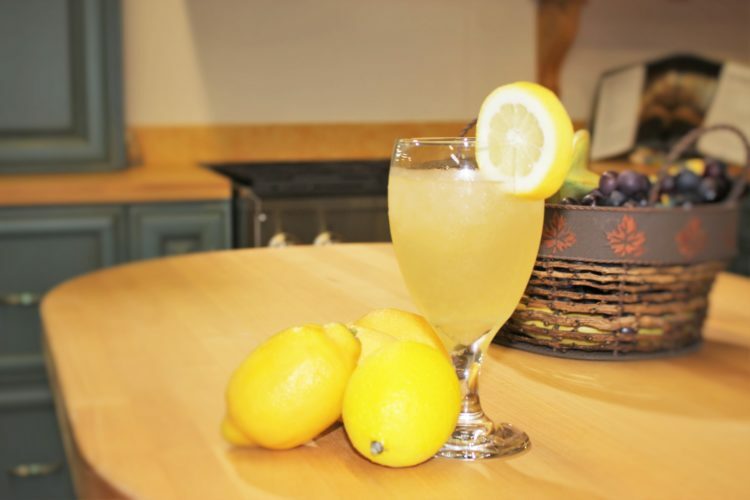 Lemonade is such a refreshing beverage on our hot Louisiana days and nothing says love quite like when it’s homemade. The lemon and salt are helpful to hydrate the body and whey is what allows the process of fermentation. When lemonade is fermented, you can consider it as good as a probiotic supplement. And the orange, well that’s the secret ingredient that takes the tart out. Start with a 1/2 gallon canning jar. Juice 6-8 lemons until you get approximately 3/4 cup lemon juice, then add the juice of 1 orange. Mix lemon juice with sugar and whey. Fill the jar with water about 1/2 full and stir the mixture until the sugar is dissolved. Fill the jar with water, leaving approximately 1/2 inch of air space from the top of the jar and cover. To Culture the Lemonade: if you’ve added whey to culture the lemonade cover the jar with a dark cloth and allow to sit at room temperature for 48 hours. After the 48 hour period move to the refrigerator and serve cold. How do you like your lemonade?